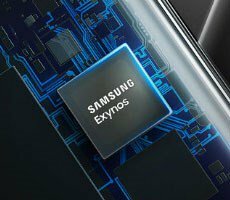 According to famous leaker Ice Universe, the Exynos 9820 will integrate Samsung's upcoming Mongoose M4 cores which are said to be better than the ARM Cortex-A76 chips. This should translate into frequencies that go over 3.3 GHz, and, since the M4 are 7 nm chips, they should have improved energy efficiency. Samsung’s smartphones are usually equipped with either Qualcomm’s Snapdragon SoCs or its proprietary Exynos chips. The next generation of Galaxy phones will surely follow the same scheme, coming in Snapdragon and Exynos variants, however, it is worth noting that the Exynos chips are not based on ARM CPUs, like most SoCs on the market. Samsung produces its own mobile CPUs dubbed Mongoose, and the Exynos 9820 SoC scheduled to be released with the Galaxy S10 models will integrate the Mongoose M4 cores. According to the latest leak coming from the notorious Ice Universe, the Mongoose M4 cores are expected to be better than the ARM Cortex-A76 CPUs in all regards. ARM’s Cortex-A76 will be the first mobile CPU to break the 3 GHz barrier, going as high as 3.3 GHz, so if the Mongoose M4 is faster, it could also mean that its frequencies can go even higher. Ice Universe also mentions that the Mongoose M4 has better energy efficiency overall even if it is based on the same 7 nm stepping, which is another strong indicator for higher frequencies. In another tweet, Ice Universe claims that the M4 CPU can easily score 13,000+ points in Geekbench multi-core tests. This is comparable to what Apple claims the upcoming A12 SoC is capable of. It will be interesting to see how the Snapdragon 850 SoC fairs out against the Exynos 9820 and the Apple A12, knowing that the Snapdragon will integrate the Cortex-A76 cores.